In a typical HDB lift, one is often faced with awkward silence when a stranger, or an unfamilar neighbor strolls into the lift, and the lift door closes, condemning 2 persons within the artificial confines of a limited space. Sometimes we attempt to make small weather talk type of conversations; at times we manage a quick smile and return to a forlorn look at the lift floor counter. This was not so with the many stranger-turned friends I encountered while documenting the closure of the KTM railway service in Singapore. 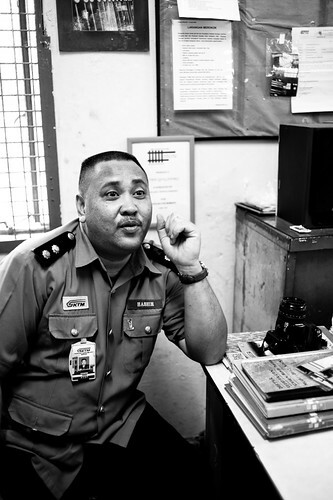 I’ve already blogged about Mr Atan, a most friendly and affable station master at the Bukit Timah railway station. But he is by no means the only one whom I’ve met and conversed, who have warmed our hearts with their dedication to their work and to the KTM railway, and their willingness to share their lives and stories with us. 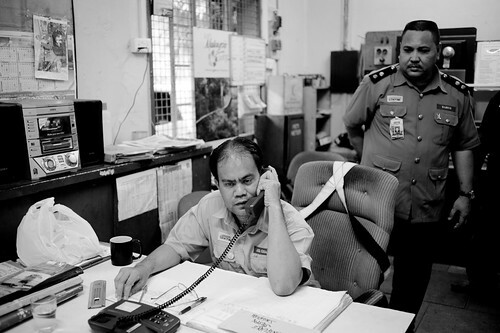 Indeed, it would be remiss of me not to mention Mr Hashim, the other station master at Bukit Timah railway station. He is supposed to be the “last station master” because he is not leaving Singapore yet – instead he has been reassigned to the new Woodlands station. 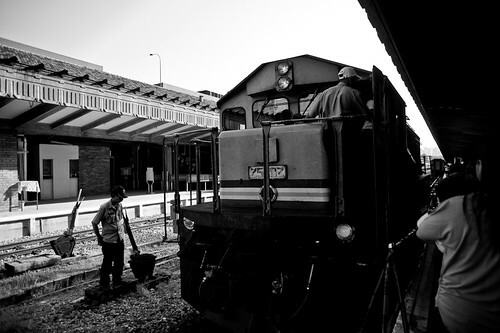 Neither of them, nor the many station masters, workers and employees photographed and videoed over the course of the past few weeks would ever have thought they would have their moment of fame during the last few days of the train service closure. 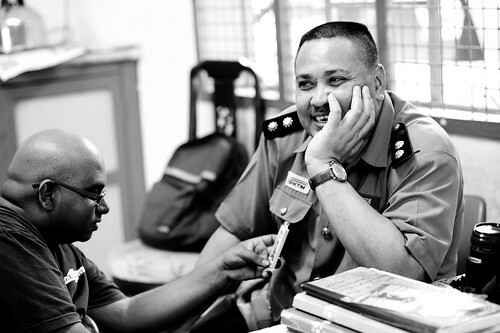 Mr Hashim was initially a little guarded, and understandably, a little overwhelmed by all the attention showered on him and his station, but he soon warmed up to it all! 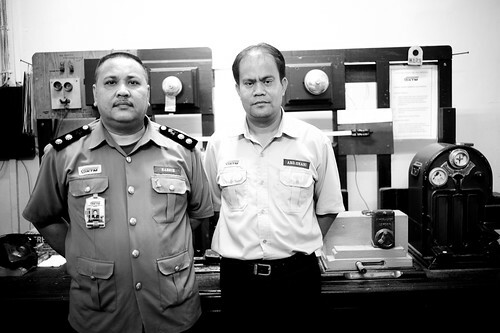 Like the other station masters, these KTM officers were all very kind in allowing us a glimpse at their daily routine. Besides them, I’ve also got to chat with the station master Mr Manikavasam of the signal hut at the now defunct Chua Chu Kang level crossing. This station used to be a real station – the Bukit Panjang railway station, from where the first train steam rolled towards Tanjong Pagar station 79 years ago in 1932. 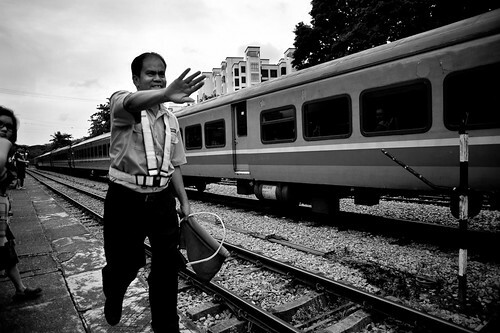 Station master at Chua Chu Kang level crossing signal nut. Note the spartan surroundings. There were also many other unforgettable scenes of which I consider myself fortunate to be there to witness and to take it all in. However short the time was, I enjoyed myself as I document and take in the last few moments of the railway network in Singapore. 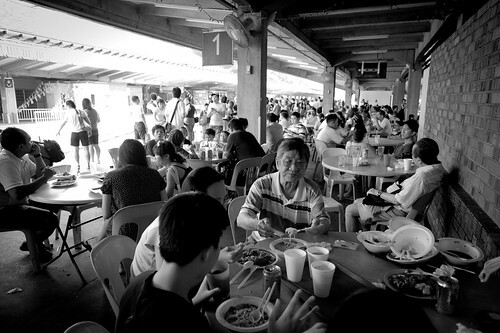 Crowds thronged the Tanjong Pagar railway station for the famous food. Scenes like this will never be repeated again. 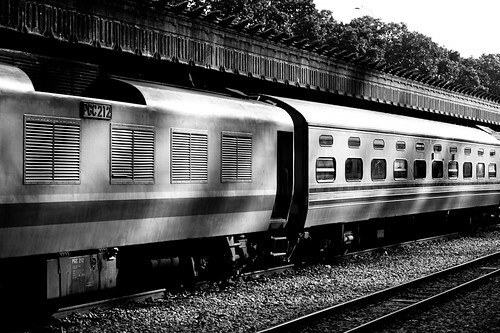 The closure of the railway service meant not just the end of business as usual for KTM in Singapore, but also spelt the end of an entire railway culture that was seemingly left behind by the rapid pace of Singapore’s modernization. 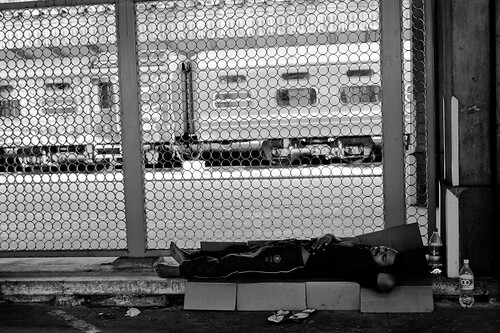 A man sleeping at Tanjong Pagar KTM Railway Station. Scenes like this will never be repeated again. 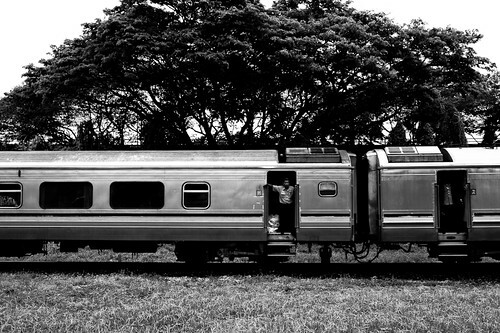 Curious Tourists coming in from Malaysia leaning out for a good view as the train roars past Bukit Timah railway station. 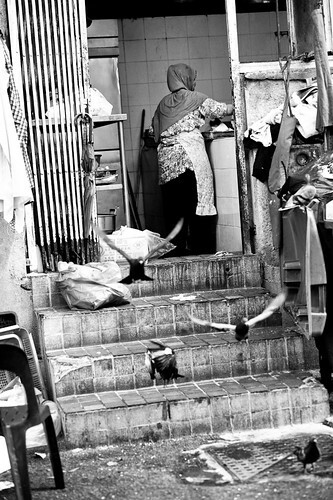 A woman washing dishes at the Tanjong Pagar KTM railway station. The food stalls have all closed with the closure of the station. 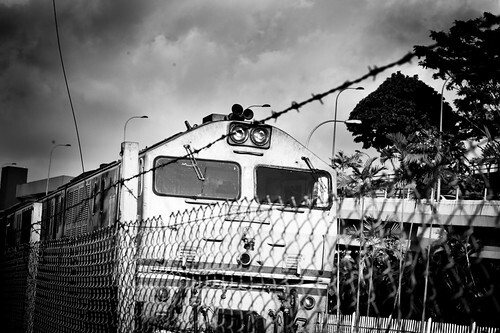 Then, there are of course, the sight of trains, those huge monstrous hulks of metal bearing its load that traversed daily between Singapore and Malaysia. 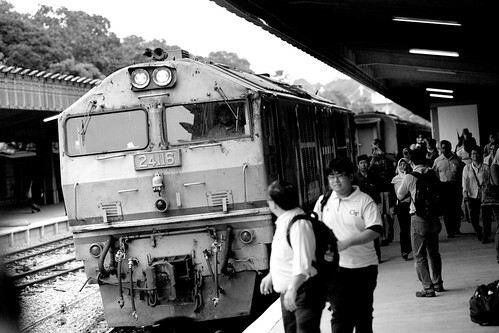 Never again will these beasts pass through the heart of Singapore again, something that we have all taken for granted over the past 79 years. 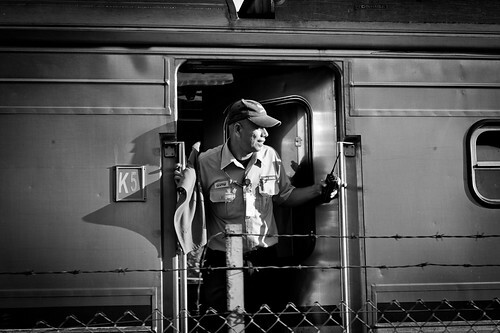 Feeling the rush of an early morning train, a passenger leans out of the door for a better view. 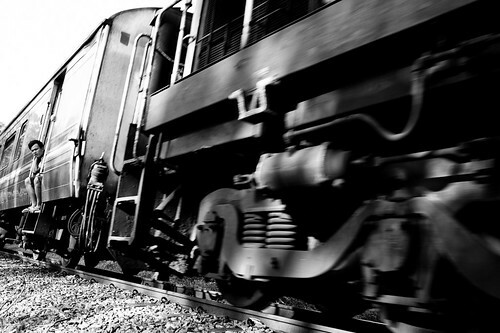 I too feel the rush of the train as it went past very close to me. The tracks are now forever silenced. 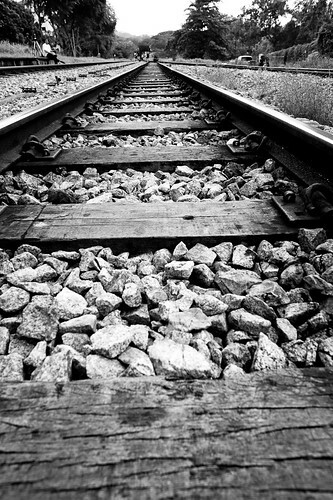 A low angle view of the KTM tracks with sleeper and ballast. These tracks will soon be dismantled and returned to Malaysia. 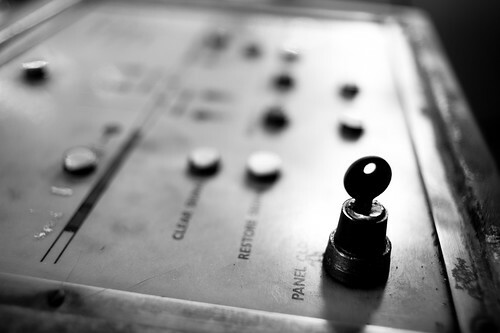 In the final series I will show pictures of the tracks and the places it traverses. It will also include hitherto unplanned new pictures I took just yesterday as I took a long walk along the tracks from the Bukit Timah Station to the Queensway end. As mentioned previously, The Green Corridor Movement hopes that a substantial section, if not the entire line will be preserved for its history as well as the natural greenery and ecosystem that surrounds it. Hope you have enjoyed this ride so far! Till the next update!